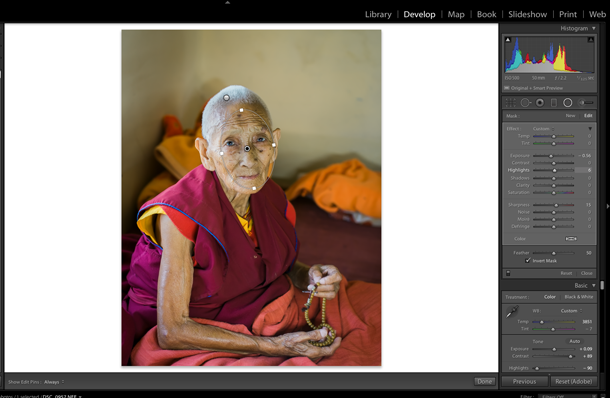 An essential Lightroom tool, introduced in version 5, is the Radial Filter. 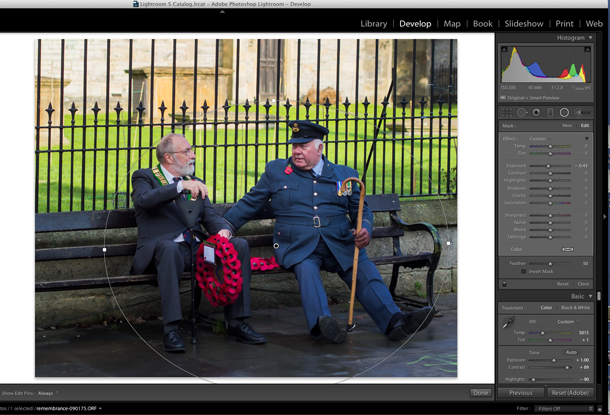 It enables you to create off-centre vignettes and because it’s an elliptically shaped tool, the Radial Filter is great for working with images of people. You can easily draw an oval around a person’s head, enabling you to lift exposure or work on sharpness, or you could go further and draw another ellipse around their eyes or other important areas of the portrait. 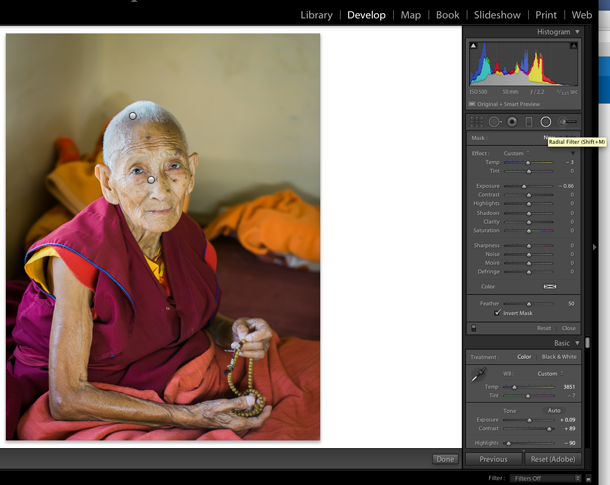 Here’s a quick guide to how Adobe Lightroom’s Radial Filter works in practice. The Radial Filter is very easy to find – it’s circular and sits next to the Adjustment Brush tool. The same kind of Effect options pop up, as with the Adjustment Brush and Graduated Filter. For this portrait, we want to lift the exposure and highlights a bit on the nun’s face. So to begin with, we simply draw an ellipse around the relevant areas. Get used to moving the little square handles on the side of the ellipse to reposition it. A good way to think of the Radial Filter is as a spotlight, enabling you to highlight and edit the most important elements in your image. So with the Radial Filter, you apply selective adjustments outside and inside the areas you have selected. Here, we have adjusted exposure and highlights while also boosting sharpness and reducing noise on the nun’s face. We also applied a Radial Filter to fix some blown-out highlights on her hair, so this is a good example of you can work on very specific areas. While you could also use the Adjustment Brush in this context, it can be fiddly in practice, and the Radial Filter can feel like a more intuitive way of working sometimes. You can add as many Radial Filter selections as you want to selectively target multiple areas in your image. Each Radial Filter selection appears as a ‘pin.’ As you work on the image you may also need to darken or lighten or background to make your changes look natural and balanced. Do this by un-ticking the Invert Mask box. As mentioned, the Radial Filter can act like a spotlight on a person’s face, so use the effects sparingly. 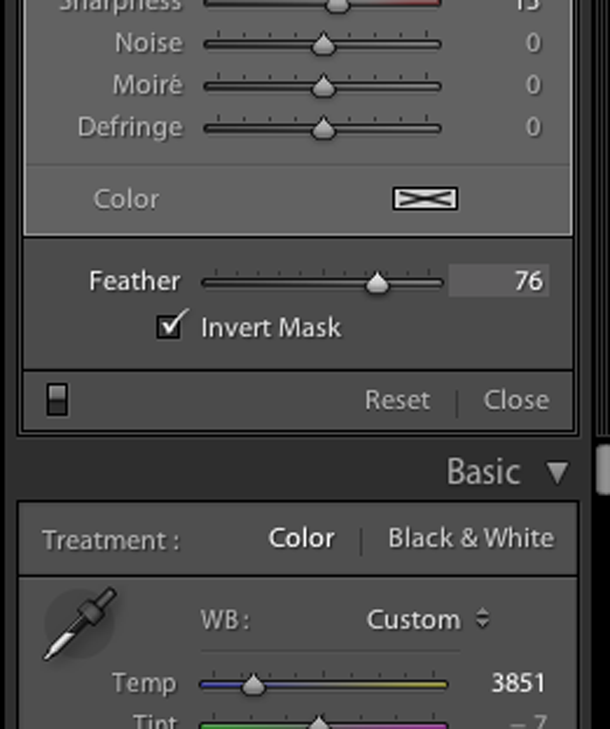 If you tick Invert Mask, your edits are applied to the area inside the elliptical shape created by the Filter. To soften the edge of the boundary of the Radial Filter, and make the effects look as natural as possible, you can adjust the amount of feathering. It is set to 50 by default, but you may need to push it up to around 80, increasing the radius of the filter if required. As the Radial Filter enables you to create custom vignettes, it’s a more precise instrument than Lightroom’s global vignette tool. Here we have drawn a simple Radial Filter around the two main characters, turning Invert Mask on and off to enable us to emphasise and sharpen them, while slightly de-emphasing the background with Exposure and Highlights so they pop out more. 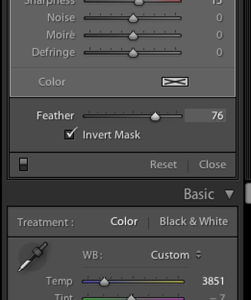 The Radial Filter is an incredibly useful tool, and includes Adjustment Brush options in version 6 and higher.